KUALA LUMPUR (Sept 17): Gas Malaysia Bhd said it has agreed on the terms for the construction of gas distribution pipeline and metering facilities for the supply of natural gas to Honda Malaysia Sdn Bhd (HMSB). HMSB is an associate company of DRB Hicom Bhd. Tycoon Tan Sri Syed Mokhtar Albukhary has indirect interests in both Gas Malaysia and DRB Hicom, making this a related part transaction. 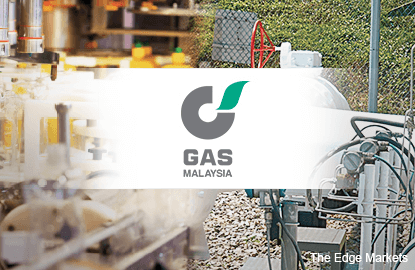 In its filing with the exchange, Gas Malaysia said the total amount for the transaction is RM4.17 million, with natural gas to be supplied to HMSB by July 2016. The company said the transaction was entered into, in the ordinary course of business undertaken on an arm’s length basis. “The board of directors of Gas Malaysia (save and except for the Interested Directors) after careful deliberation, is of the opinion that the transaction is in the best interest of Gas Malaysia,” it said. The company added that the transaction will have no material effect on earnings per share, net assets per share, gearing, share capital and major shareholders’ holdings. Gas Malaysia rose 6 sen or 2.73% to RM2.26 at 2.42pm today, bringing its market capitalisation to RM2.82 billion.